Documentation and SupportReleases 2015-09-29 ReleasesIndividual Business Rules can now be run without having to run entire Business Proccess. 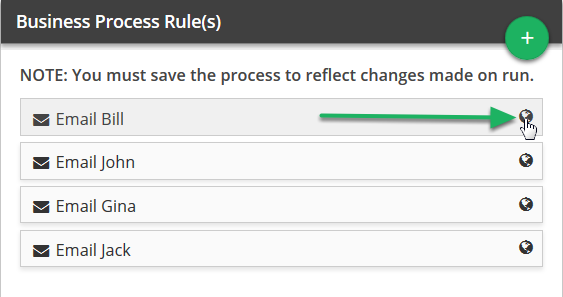 Clicking the world symbol at the far right of the rule will run just that business rule. Prev: When creating a vertical mashup table, if there are fields with the same name they will auto fill in when adding the join. Next: Fields that are aggregated now automatically format themselves.